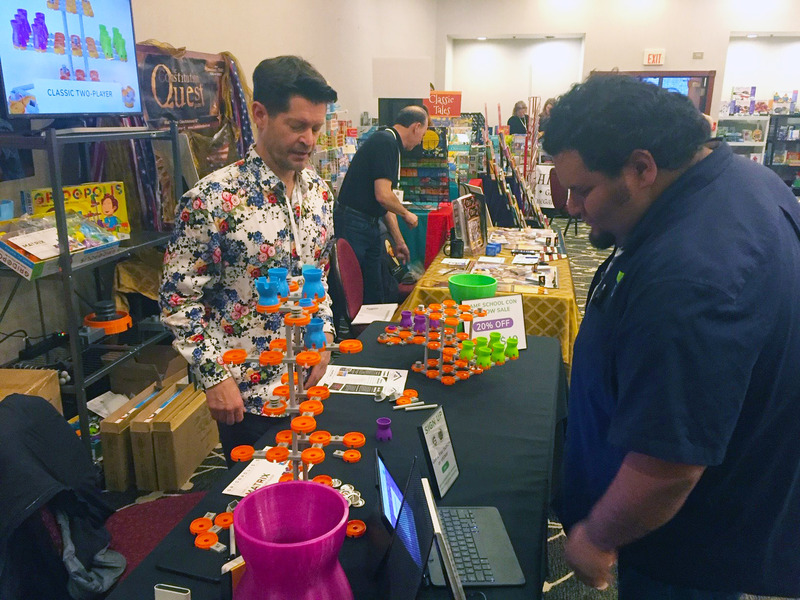 Over the weekend, the Gridopolis Games crew attended GameSchoolCon, a geeky gathering of gaming enthusiasts and families looking to learn about cool new games and add their expansive collections. Adults and children alike were treated to a wide variety of video games, role playing games and board games to play, test and even purchase right on the spot. The Gridopolis booth was buzzing throughout the weekend,and we had an awesome time showing and demoing our grid-sets for conference goers. 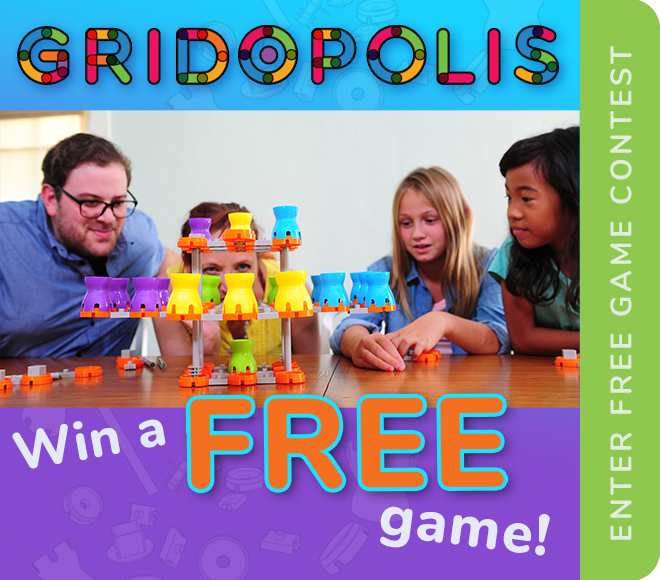 Attendees (especially the youngsters) loved playing and observing Gridopolis, leaving parents particularly impressed with the game's potential as a STEM learning tool. 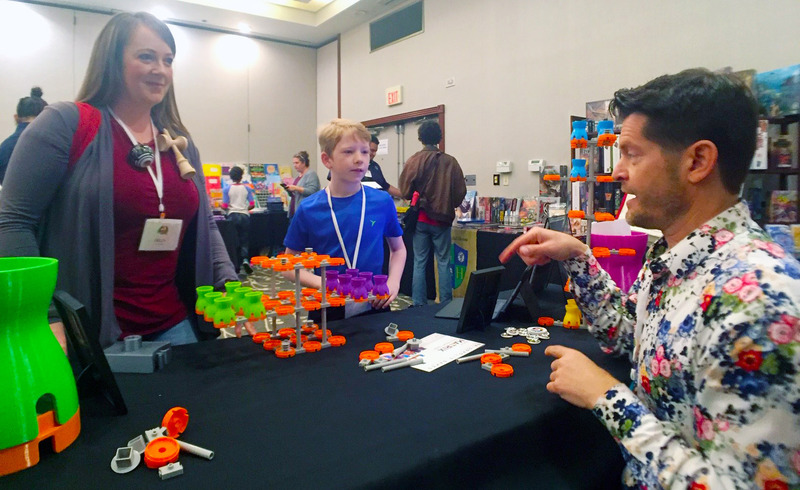 While there were a ton of cool games at the show,Gridopolis also drew considerable attention as the only 3D strategy game and construction set at the conference. Gridopolis also piqued the interest of several home schooling organizations in attendance. Parents and education professionals collectively marveled at how building and playing Gridopolis confirmed their convictions that people learn best when they're having fun. The Gridopolis crew would like to thank GameSchoolCon organizers Sasha Kuczynski and Edward Stafford for organizing and hosting such a wonderful conference. Interested in learning more about Gridopolis. Subscribe to our supporter list to stay updated on the latest Gridopolis updates, including our upcoming Kickstarter campaign.